‘Welcome to country’ has become a regular fixture at the beginning of speeches art exhibition openings, conferences and gatherings of all shapes and sizes in Australia in recent years. The acknowledgement of the traditional and continuing custodians of the land has I believe, facilitated a tentative bridging of the gap between our different cultures. 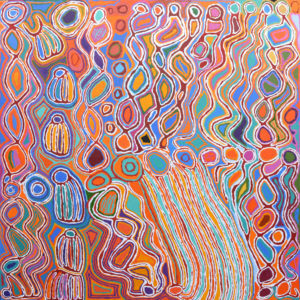 Developing a passionate connection to the land, as is conveyed by Indigenous Australians with their characteristic warmth and humour, may be seen as part of our healing process, as it is precisely this feeling of belonging, not only to nature, but also to our tribe, that many Westerners yearn. This description of unity is breathtaking in its scope, embracing all life; so there is nothing, in fact, that a person could be separate from. For many people in today’s society, feelings of disconnection with others can fuel fears – whether that fear takes the form of anger, resentment, jealousy, loneliness, depression, anxiety or any other of its many guises. Our seemingly boundless individualism, which has been centuries in the making, has helped us know who we are and define our differences from others, but the accompanying feelings of separation from others and nature have wreaked havoc on our primordial need for kinship and connection. As a landscape architect I often ponder how we connect with the land, endeavouring to understand nature’s mysterious ways from ecological, cultural, psychological and spiritual perspectives, in order to create designs that reflect the ‘spirit of the place’. I have found that visiting the outback and listening to indigenous people tell their stories is a good place to start; another way is through our conscious awareness of our own spiritual nature which helps us to relate to the landscape at a much more profound level. Developing an openness and sensitivity to the more subtle realms, opening our mind’s eye to what lies beneath the surface, and listening to our intuition to see where it leads are, I believe, the keys to a closer understanding. This is arguably the ‘holy grail’ of design, sensing the elusive essence of the land and expressing it in built form in such a way that enhances, rather than diminishes, the land’s intrinsic beauty. It could be argued that most places are better left alone, without any human intervention, artfully designed or otherwise. However, with our increasing population and peoples’ continued desire to connect with nature, this is not a realistic option. Two projects I have come across recently that facilitate people’s access to the landscape without compromising its natural beauty are: Teresa Moller’s coastal walk at Punta Pite between Zapallar and Papudo, north of Santiago in Chile; and, closer to home, Craig Burton’s design of Bradley’s Head Wharf on the Sydney Harbour foreshore in Australia. 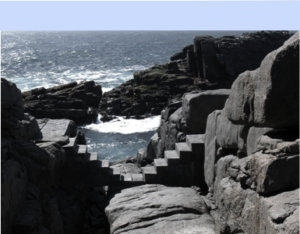 Teresa Moller’s granite pathway and steps ( shown above) fit easily, even playfully, into the rocky ground , providing access along the headland with the minimum of disturbance. In a video about the project (vimeo.com/52563082) Moller talks about how her design of the trail sprang from a desire to interfere with nature as little as possible. 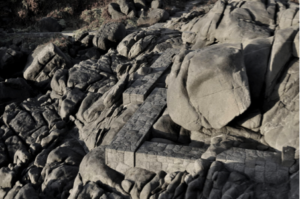 She hoped that her method of ‘fitting in’ rather than ‘imposing on’ the landscape would create a more interesting journey and the result is an engaging pathway that rewards the mindful walker. 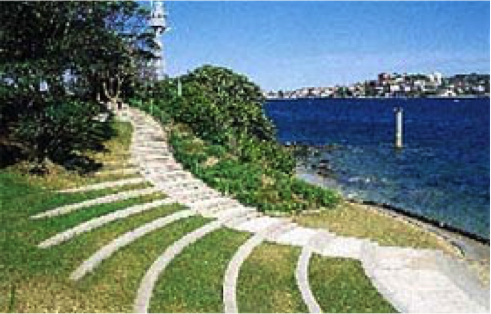 In Craig Burton’s design of Bradley’s Head Wharf, the sinuous curve of the shoreline is extended from the steps into the slope, creating grass seating-terraces, while delicately tracing the invisible contours below. The sandstone was carefully sourced with the aim of it weathering to a similar patina as the surrounding naval fortifications, to ensure the new steps blended in effectively and did not stand out as a recent addition to the cultural heritage of the foreshore. So… how do you create this in your own garden sanctuary? Have you added something that gives your spirit a lift in your own backyard or have you ideas for something that conveys this feeling in mind that you’d like to share? If so, I would love to hear about it and have included my contact details at the end of the article. Clearly there are as many variations on this theme as there are interpretations of ‘essence’ and materials to express it. 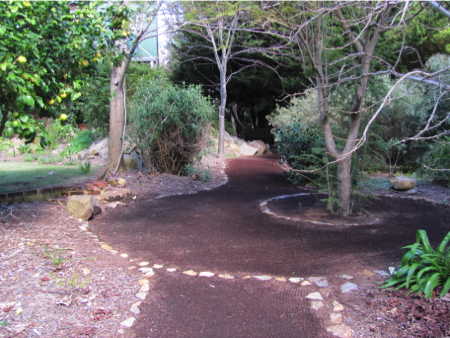 I believe it can be done quite simply, especially with a little lateral thinking… In my garden in Margaret River, Western Australia, I made a spiral of granite stones to encompass the widening of a sawdust path around a young Jacaranda tree. 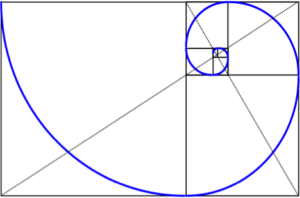 It was loosely based on the shape of the nautilus shell which is similar to the golden spiral, numerically expressed in the golden ratio of 1:1618… or ‘phi’ in mathematical terminology. 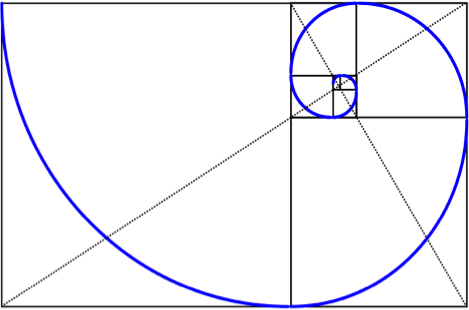 My simple interpretation of this was to trace an arc that was as far around the tree as it was away from the tree to make a wide and satisfying spiral. It was very simple to do and with that stretch of imagination allowed me to incorporate a symbol of one of the building blocks of the universe. Using sawdust for paths provides the additional pleasure of being very soft to walk on, with the air pockets between the fine strands of timber tending to absorb your footfall so there is a gentle bounce back with each step. In conclusion, the desire to capture the elusive ‘spirit of place’ is a rigorous but rewarding exercise as it requires a focusing of the mind and the senses to the awareness of the subtler realms, to explore and experiment, to play. Why do we strive for this connection to nature? I can think of several reasons: one is that it gives us a break from our incessant mind-chatter, another is that this pause between thoughts when we are ‘being ‘ rather than thinking or doing is where our power lies as we are open to the secrets of the universe.When pondering a new design I often ask myself: ‘What does the land want me to do?’ and hope I can hear the response. Alex Hawthorne is a landscape architect and Jin Shin Jyutsu practitioner who specializes in designing healing landscapes and helping people reconnect with their spirits through a connection with nature. Jin Shin Jyutsu is an ancient Japanese art which harmonises the body’s energy pathways, using a gentle touch, to ameliorate pain and optimize wellbeing. To find out more go to www.jinshinjyutsu.com. Feel free to contact Alex at landesign123@optusnet.com.au or through my website.